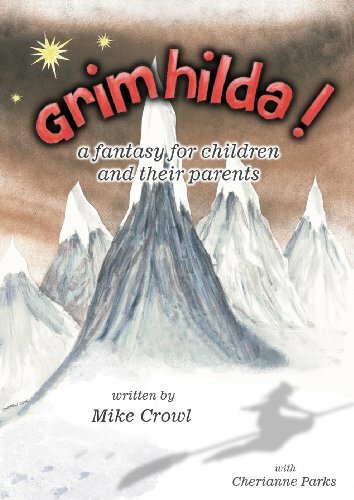 Almost two years ago, my daughter Sinead (who had just turned six at the time) and I attended the opening night of a delightful musical called Grimhilda!, written by local musician, poet, blogger and author Mike Crowl. It was a really fun night, and from the moment we left, Sinead, who was already a bibliophile, was already asking two things: (i) is there an accompanying book? and (ii) when is Mike going to make the next musical thingy? We were both very pleased when the answer to Sinead’s first question was answered a few months ago with the appearance, on Kindle, of Grimhilda! – a fantasy for children, and their parents. An animated storyline brimming with a generous splattering of dry humour and colourful characters, and a pace that affords some time for the narrative to unfold in ways that give due attendance to layers beyond the mere pedestrian, combine to make this a rollickingly good read for parents and their wee sprogs. Sinead and I read this tale, this invitation to adventure, and we didn’t want it to end. At times we felt that we were journeying with the Pevensie kids. This is good thing. We look forward to more from Mike’s pen. Grimhilda is also about to be released on Smashwords. Thanks, Jason. Appreciate this very much. Please do. I look forward to reading it.